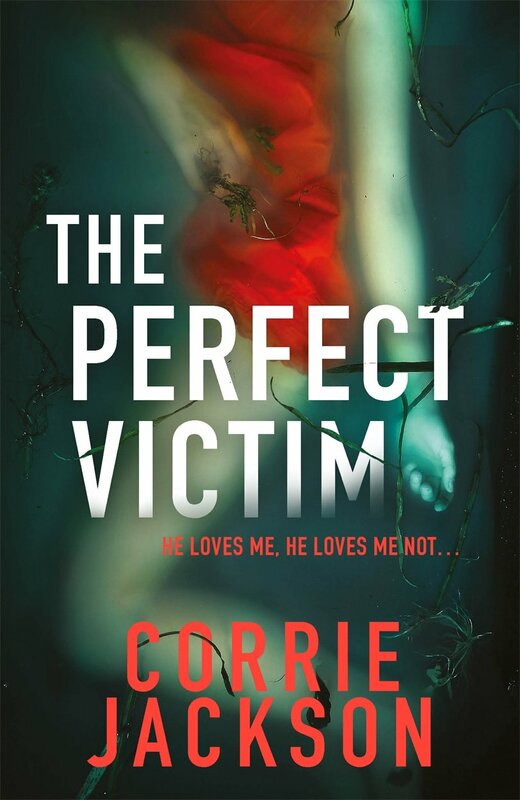 This month’s novels could all be described as psychological crime if that term had not been hijacked by the admirers of the is-she-mad-or-bad? subgenre. Jussi Valtonen explores the damage that can be done by people who are so certain of their own virtue that they live in an opaque bubble of self-justification, which prevents them even seeing, let alone understanding, what other people might feel. His novel is told from three points of view: American academic neuroscientist Joe Chayevski, his Finnish first wife, Alina, and their son, Samuel. After the marriage broke up, Joe returned to the States and married Miriam, with whom he had two daughters, while Alina married psychotherapist Henri and had two sons. Joe’s work involves experimenting on animals, and he and his American family come under threat from activists determined to protect them. At the same time, Joe discovers that his vulnerable elder daughter has been targeted by a company deviously marketing technology and mood-altering drugs of the most insidious and dangerous kind. 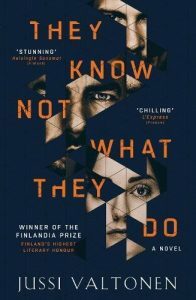 Valtonen keeps the tension high throughout his long, discursive novel and ultimately provides a solution that is both tragic and completely credible. This is one of the most satisfying literary thrillers I have read, and I am not surprised it won the Finlandia Prize. Corrie Jackson is another writer interested in the psychological damage that can be wrought by those who never wonder about the effects of their behaviour on other people. The novel opens with an account of a small boy watching his drunken mother asleep in 1988 and then moves to the present day and first-person narrator Sophie Kent, who is a crime reporter for the London Herald. Jackson is herself a journalist and makes Sophie’s work convincing in the office as well as in the field. Her determination to get at the truth behind a series of killings the police are sure they’ve solved puts at her great personal risk and involves her in the troubled marriage of her best friend and colleague. If it were not that practically every character in the novel has a dysfunctional personal life and unsatisfactory parents, I would give this novel five stars. The possibility of finding a happy family somewhere would have given it more light and shade, but it is highly entertaining as it is. 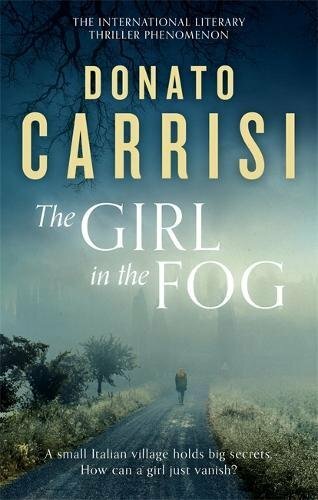 Apart from the tiresome title, Donato Carrisi’s The Girl in the Fog is an impressive and engaging account of a maverick detective’s work investigating the disappearance of a young woman in Alpine Italy. Told in flashbacks from ‘the night everything changed’, the novel shows Special Agent Vogel manipulating local opinion in the hopes of revealing the identity of the killer, long before any body has been found. As in all small communities there are innumerable secrets and tensions for Vogel to use in his campaign. Hated by his colleagues for planting evidence in the past, it becomes clear he’s doing the same thing again, certain that one particular individual is guilty. 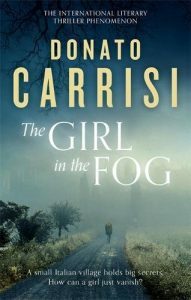 The twists at the end are as clever as they are unexpected, and Carrisi offers a convincingly jaundiced view of human psychology. I began this novel in a bad mood and was quickly returned to good humour.